When it gets to this time of year, I am certainly one to constantly be living in jumpers and sweaters to keep warm. 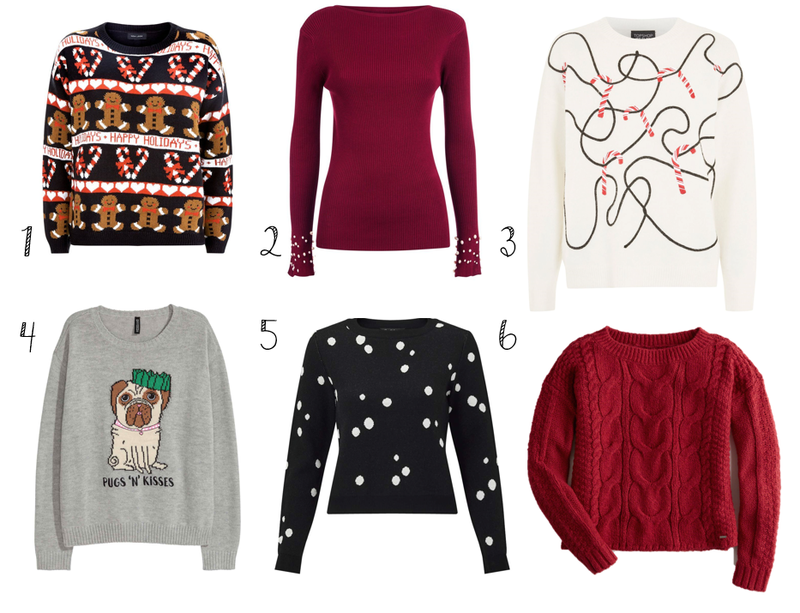 For today's blogmas, I've rounded up my favourite sweaters on the high street right now (some more festive than others) to make sure you stay warm and cosy this season! New Look has a whole section of their website currently dedicated to Christmas jumpers, so I think they must be the perfect place to head for all your festive needs! This gingerbread sweater couldn't scream Christmas more if it tried - you would feel super Christmassy wearing that! If you're in New Look looking for something a little less in-your-face-Christmas, I think this burgundy jumper is so cute, the embellishments remind me of little snow balls which gives the jumper a little festive touch without feeling like you're a walking Christmas tree! The quality of Topshop jumpers is always exceptional, so if you're looking for one a little more upmarket on the high street, I think their candy cane Christmas jumper is a wonderful choice. I love how the candy canes look like they're connected like fairy lights are and I think it would match with anything, giving any outfit a festive feel. If you're looking for a more comedic Christmas jumper, H&M offers a fantastic selection at a really affordable price - not breaking the bank if you only end up wearing it on Christmas Jumper Day! Their 'Pugs N Kisses' jumper featuring a little pug wearing a Christmas hat is just adorable. 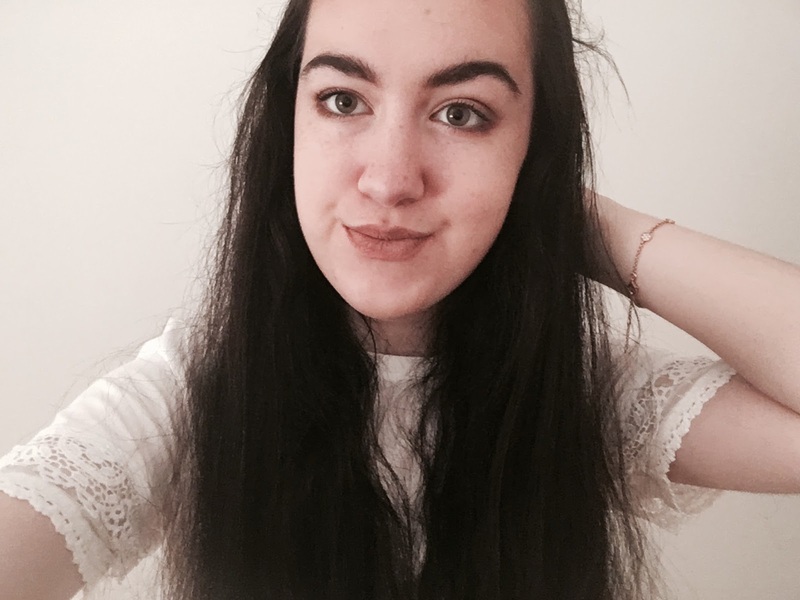 Like Topshop, I have always loved the quality of Miss Selfridge, and I think their black spotted knit jumper is another one of those that isn't meant to be festive - but the spots still remind me of snowballs so it can pass as being a more festive jumper! Because it isn't crazy festive, you can wear it all year round too (because let's be honest in the UK most of the year is jumper-friendly). My final favourite is Hollister's cable-knit sweater. I absolutely love Hollister clothes for the quality and their red one is really nice and the colour of it means you would fit right in with the crazy Christmas enthusiasts, while wearing a jumper that's appropriate for the rest of the year. Their jumper looks so cosy and I imagine it would be super warm - I'd definitely not feel so bad getting out of bed if I was getting into a cosy jumper like that! Do you have a Christmas jumper this year? I'd love to hear in the comments! Such a cute post! I love the jumper with the candy canes on hehe. Oh the sweaters are so cute! I think the white one with candy canes on brown string has to be my favorite. While I miss the warmer weather, getting cozy with giant sweaters always brings me back into the wintertime.